If you are a Time Warner customer who is no longer able to receive Valley Vision, you are not alone. Several weeks ago, Time Warner began broadcasting Valley Vision in a digital-only format. What this means is, if you own an older TV set, you cannot view these broadcasts. However, there is an easy solution. 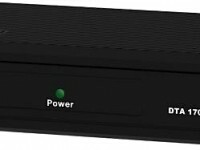 Simply visit the Time Warner offices in Redstone and pick up a small digital converter box. The unit costs .99 per month. Time Warner will mail the box to you free of charge if needed.